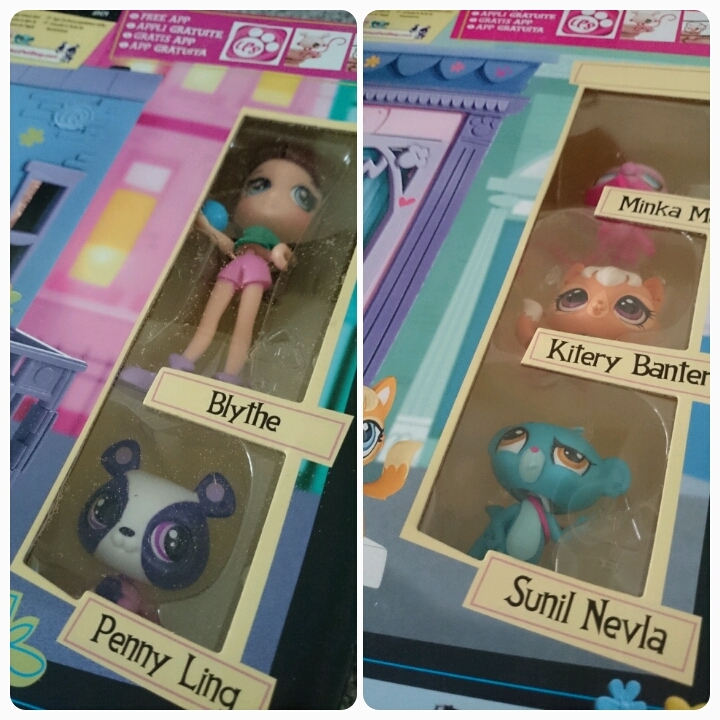 My girls love to watch The Littlest Petshop cartoon on the TV so when I was given the chance to review one of the newest toy sets featuring some of their favourite characters, I just couldn't refuse. 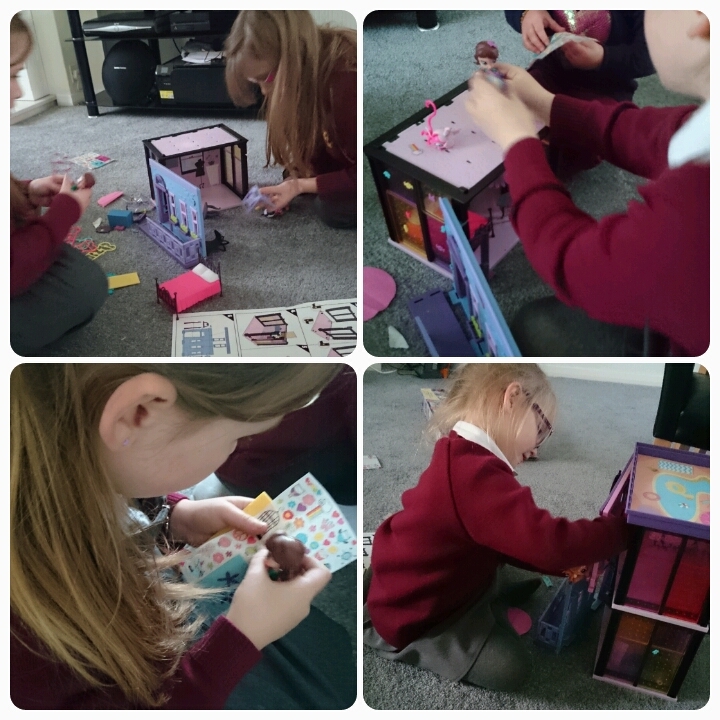 Littlest Pet Shop Style Sets are aimed at children aged 6 and upwards and allow your child to design their own sets with various stickers, decorative items and panels. 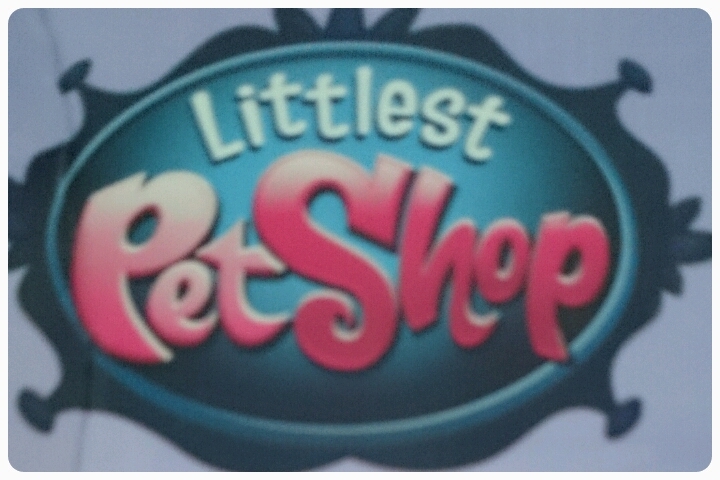 We were sent Blythe's bedroom and the actual pet shop. Each set comes complete with instructions and pets to interact with. 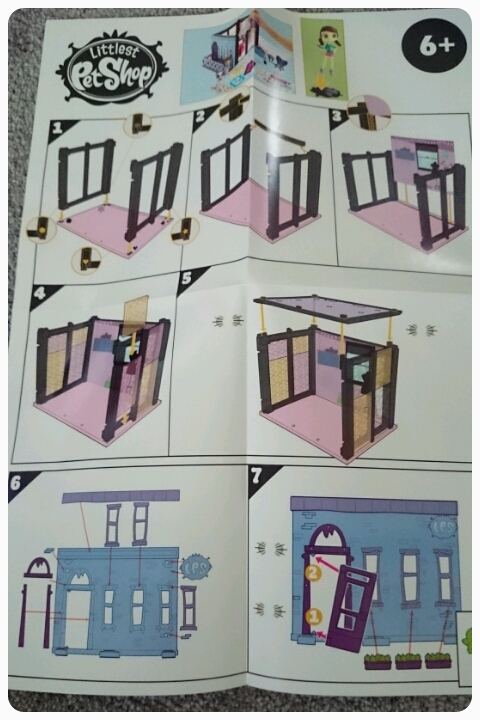 The pet shop contained 135 pieces and the bedroom contained 95+ pieces, if I'm honest, I was expecting to be spending a lot of time putting these toys together but I was pleasantly surprised. Each set took roughly 10-15 minutes to put together so not as frustrating as I thought. Now I did have a few issues when putting them together. 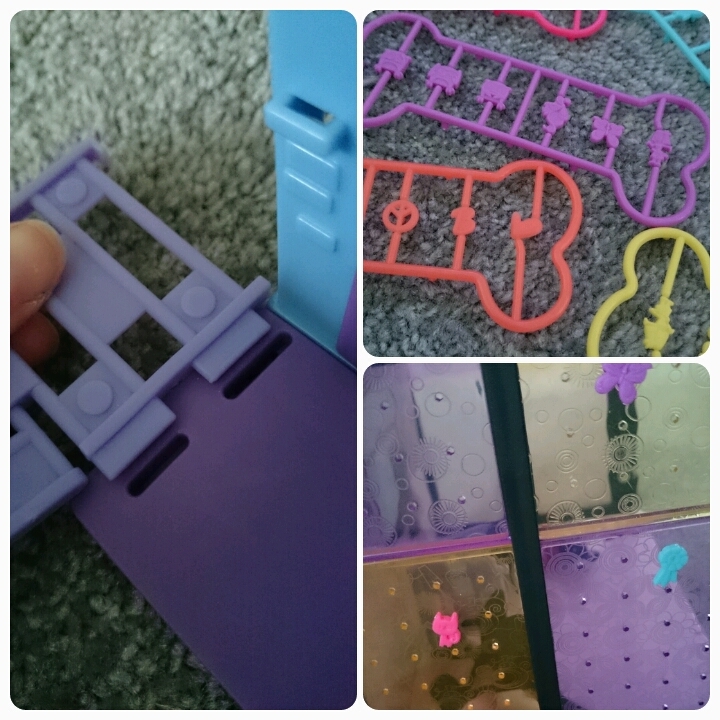 The toys are made from plastic and there were certain parts as you can see from the photo below that were actually too big to slot into the holes, luckily this didn't affect the girls playing with them but the plastic did give an overall clunky feel to the toy. 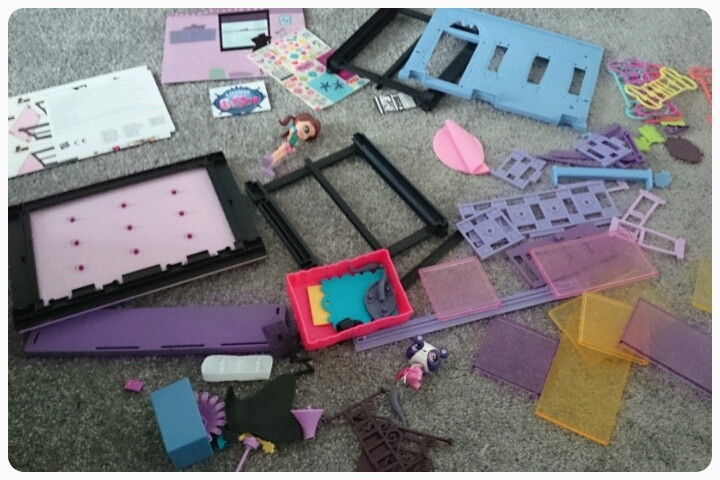 Also I'm not sure if I had a "blonde" moment but it took me a while to work out what all the colourful plastic was about as it wasn't explained properly in the instructions. After looking at the pictures closely I worked out that these were the decorative parts that the kids could get creative with and push into around the building. 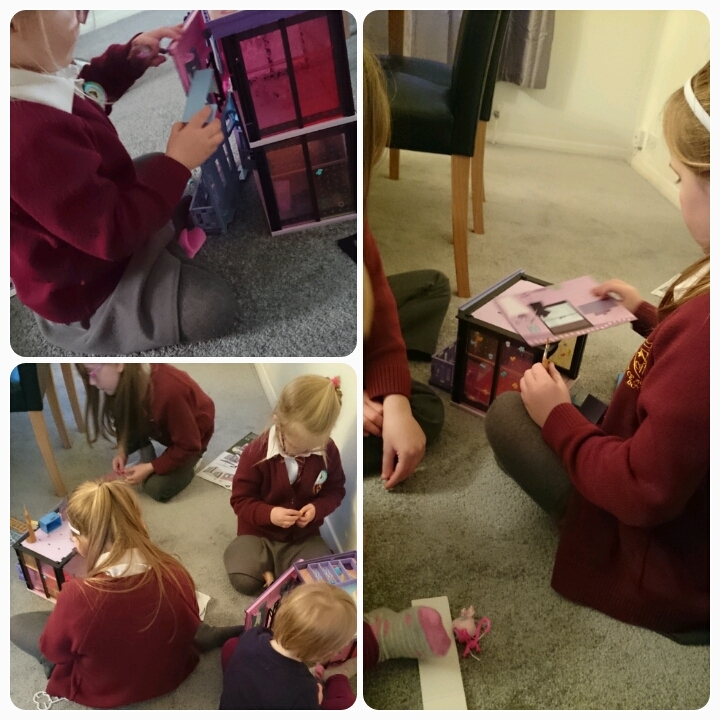 When the girls came home from school they immediately started playing and although the box says for children 6 and over, my 4 and 2 year old children were more than happy to join in and play with them too. 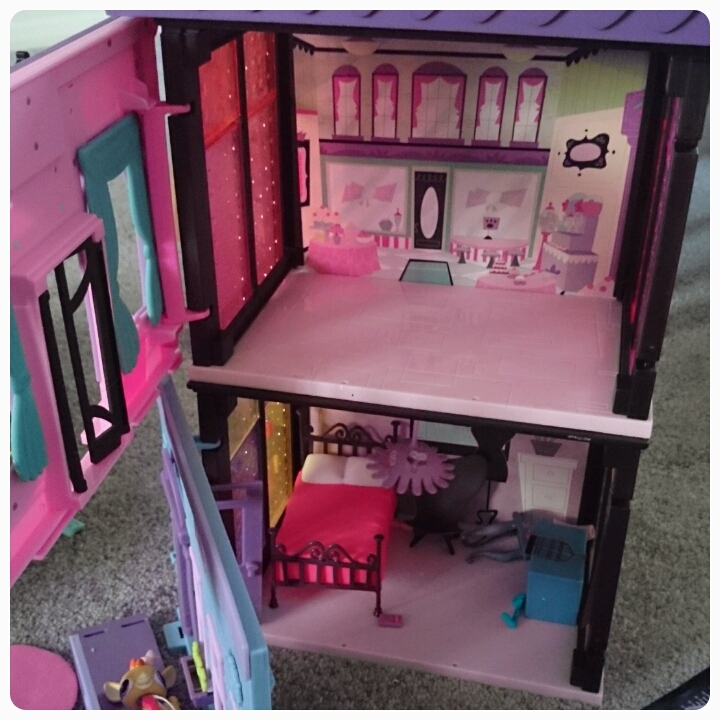 There is a door on the front of each of the set which opens and closes, the girls loved this feature and took to storing more than just the littlest pet shop toys inside. Another great feature is that each individual set can actually join together with another one, making larger buildings and changing the dynamics of game play as you can switch which sets you want joined together each time you get them out. I like that these sets allow your children's imaginations to run wild. I was listening to them playing, creating different scenarios with the pets etc. There are even cardboard cut outs which flip over and interchange, these change the look of each playset immediately. One other feature is that each pet comes with a unique QR code which can be found on their underneath, this can be scanned and then linked up with the relevant app, allowing your child to play in a different way with them. I think this makes the play extend to older children. 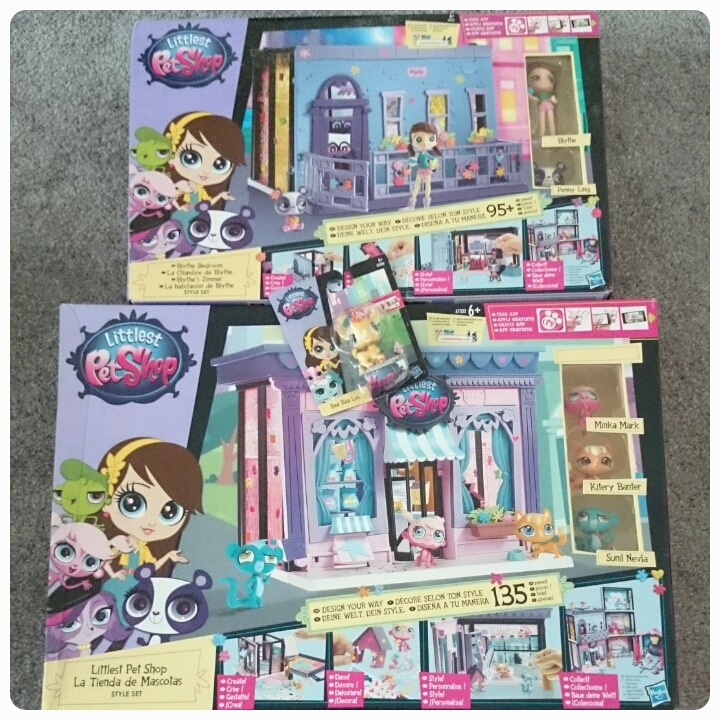 These are good play sets and because they can stack up on top of one another they take up minimal space. However I would say if you have younger children you need to be careful, as the decorative parts are very small so you wouldn't want little fingers fiddling with them. Overall I think we were all relatively happy, the sets provided hours of fun for my kids and allowed them to get creative with the stickers etc and this inturn gave mummy a bit of peace and quiet. It was nice to see all of my lot playing together without arguing for a change. The girls obviously don't focus on the details of building etc so what annoyed me, the girls didn't even notice. There are plenty of sets to choose from which makes for perfect present ideas as you can keep adding to their collection and with prices ranging from £12.99 to £39.99 there is one for everyones budget. However I can't say that I would be happy to spend money on them. The concept is great but I do think the design needs to be looked at as I don't feel they are as well made as they could be. I'd like to see the individual parts fitting together better and the dolls being able to stand up by themselves but I must stress that this is just my opinion. They look a lot of fun, but a little bit flimsy for my liking. Great, honest review.